I'm heading out of town for a couple of days and though I know I probably won't have time for it, I insist on taking craft supplies with me. 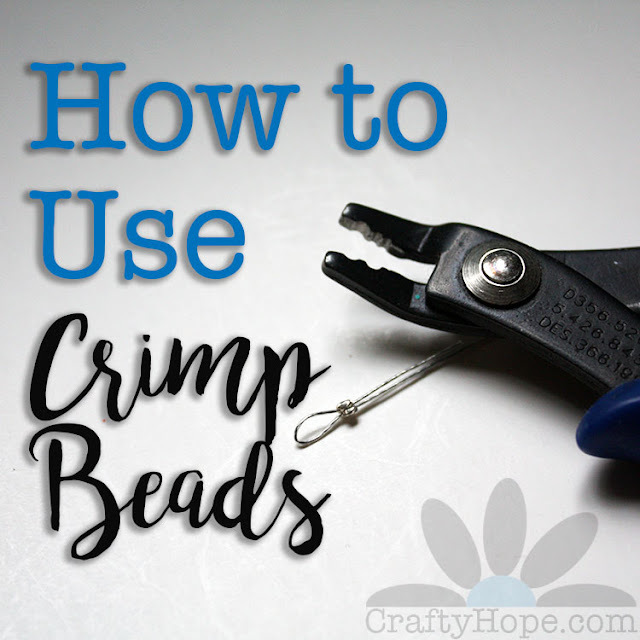 I pondered for several days what kind of craft I'll be craving and after tossing out grand notions about kumihimo and embroidery, I realized that I just want to meditatively wire wrap some beads. 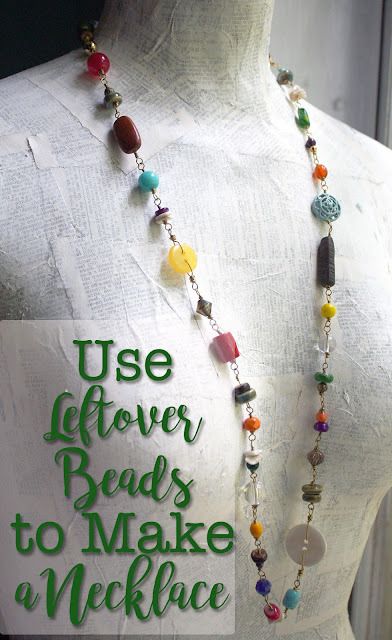 At first I simply packed several selections of wire, my pliers, and a single divided box of miscellaneous beads. However, I soon realized that the idea of even sorting though that single organizer felt cumbersome. 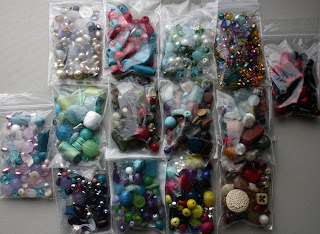 While I still have that organizer packed (along with a few small seed bead containers), the notion of pre-packing some bead selections hit me. I liked it. I absolutely have not had time this week to be creative, though my body has been yearning for it. Yet, sorting through my beads and coming up with these color palettes healed that feeling some. This picture is a little better, right? Picking out the beads was almost meditative and slightly addictive. 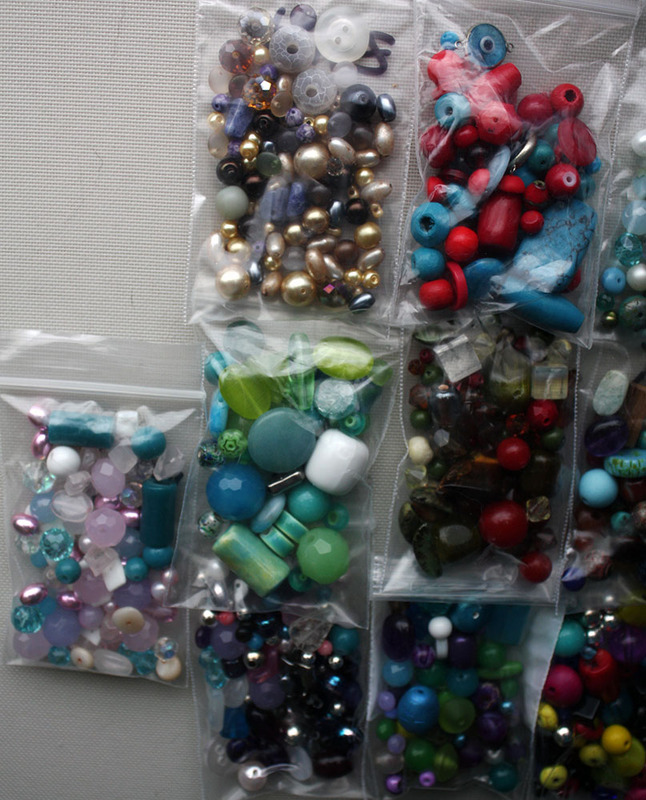 I know that these fourteen baggies of beads are way more than I need for a BUSY four day trip, but it makes me feel better to know I have options. And I KNOW this one is better. Oh, and I did add some waxed linen cord and buttons to my craft bag as well. . .you know, just for good measure. 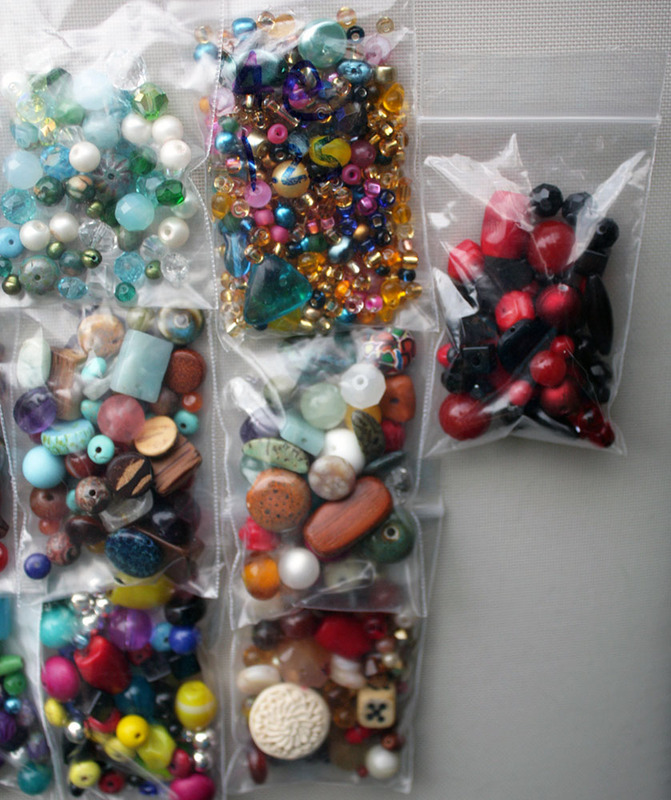 What's your method for making sure you can get your craft/bead fix while away from home? One can never have enough beads when traveling. Have a safe trip. You should have seen what I took with me to my parents a couple of weeks ago. But I drove and I had the entire car to myself..LOL So for one person, the back was totally packed. But I wasnt sure how long I was going to stay. I ended up not doing much, but thats what family is for..keep you busy all day long! Enjoy your trip. I find that unless I have a specific project I'm in the middle of...i never end up doing any crafting when I'm away! I don't know why!